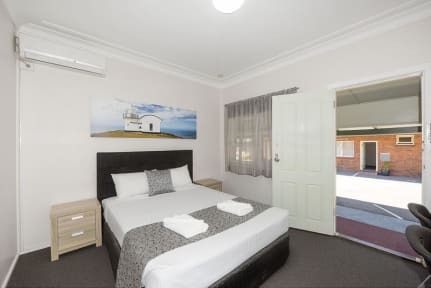 Port Macquarie Motel i Port Macquarie, Australien : Boka nu! Once a confirmed booking has been made there will not be any refund for cancellation and or no show. Bond to cover damages will be required. Minimum $500 up to 5 people and additional $100 per person after the first 5. 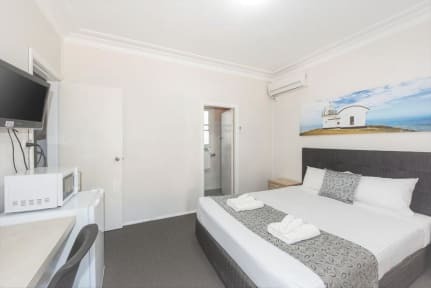 The Port Macquarie Motel offers a choice of double rooms with queen size beds, a triple room with 3 single beds, a standard family room with 1 double and 1 single bed, a family room with 1 double and 3 single beds, and a two bedroom room with 1 double in the first room and 2 single beds in the second room, to suit leisure & corporate travellers alike.